We planned our trip with Theresa and it was so much easier than expected. Everything we did including Lima, sacred valley, Machu Picchu and Cusco was planned perfectly. Our guides were top notch and the whole experience was wonderful!! Highly recommend Kuoda!! Kuoda planned our 20th Anniversary trip to Peru absolutely perfectly. Email communication with Celine was thorough and replies were prompt. She asked us loads of questions and helped us organise our perfect trip over the course of weeks and months. She even helped us with what to pack and which immunisations were required. Upon arrival in Lima we were met at the airport and escorted to our hotel (even though it was right across the road) and again in the morning and taken to check-in for our first internal flight. The flights, hotels, trains, cars, meals and excursions were all planned and executed flawlessly. Daniel at Refugio Amazonas showed us wildlife we had previously only dreamed of seeing and answered all of our questions. Our guide in the Sacred Valley and Machu Picchu, Jose Carlos was knowledgeable and friendly. His tours and demonstrations made our holiday much more worthwhile and we learned loads about the Incas and Peruvian way of life. The drivers were completely safe and were always there, waiting for us, exactly where and when they said they would be. All of the hotels we stayed in were spectacular in their own individual way. I would not hesitate to recommend Kuoda as they are a truly fantastic travel company. Thank you. You gave us the trip of a lifetime! We just concluded our incredible 14 day trip to Peru.. a dream come true all thanks to Kuoda. They do personalized travel like no other. They planned the trip with great attention to detail, keeping in mind our specific needs. Their team was very responsive and always at hand to address any questions. Our guide Gustavo at Cusco and Macchu was very knowledgeable and well matched to our group which consisted of curious 8-12 yr olds. 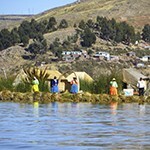 Our guides in Puno and Lima were also fantastic. What really set Kuoda apart was that they genuinely cared. When my son took ill in Cusco, they were on the phone with me at 5am and had a doctor in attendance within 40 mins. Mery, the founder of Kuoda not only visited us at the hospital but stayed with us for a few hours and left only after sorting out everything. Kuoda did everything to put us at ease and made sure the episode did not overshadow our entire trip. In Lima, as we were having dinner, out guide Gabriella realized we were celebrating my wife’s birthday. She took it upon herself to include desserts as part of the deal. Small gestures like these make all the difference .. these are just two examples but Kuoda went that extra mile all the time. Mery has built and empowered a great team and I would love to plan another vacation with them. Best of luck guys and thank you so very much! I wish I could repeat the trip over and over again. Kuoda made my family’s dreams come true. The trip Marina Erte organized for us was the most spectacular vacation we have ever experienced in our lifetimes. We will never forget our time in Perú. Marina crafted an itinerary that enabled my family to experience as much of Perú’s beauty as we could in 10 days. Every single hotel that Marina chose was spectacular. The service was world-class. The food and and decor were excellent. We never had to deal with paperwork about ticketing, etc. We just followed the lead of our Kuoda hosts and guided, and everything ran smoothly. Our hosts in Lima and Cusco were excellent conversationalists who ensured that we were checked into our hotels. We practiced our Spanish with our hosts in our car rides, and it felt as if we were long-lost friends. César, our host in Lima, kindly assisted us in ordering at the Chiffa restaurant. Spending time with Hans reminded me of hanging out with a close friend. After we returned from an Amazon river cruise that Marina set up for us, we met our guide, Eloy, who would spend four days with us going from Cusco to Machu Picchu to Ollantaytambo and back to Cusco. Eloy went above and beyond what was required. He took care to ensure that all four family members were happy throughout the trip, even holding the hand of a family member who was struggling with the altitude (photo attached!) Eloy’s passion about Peruvian culture enabled him to be a compelling guide. Kudos to Kuoda in choosing such an excellent guide! Our customer service manager, Alex, did a superb job of effortlessly adjusting our itinerary on the last day per our request. His assurance that our driver was “at our disposal” made my family feel at ease and always in control. In summary, the trip Marina planned exceeded our expectations in every way. Kuoda outperformed in every metric (e.g., overall itinerary, logistics, hotel and guide selection). I would recommend Kuoda to anyone in a heartbeat. KUODA IS AN AMAZING TRAVEL AGENCY, if not the BEST! Peru is a beautiful country that I absolutely fell in love with. I am so grateful for the help from Kuoda to make this trip a trip of a lifetime! Every guide was incredible and I personally want to give special shoutout to our guide Ruben, who was our guide through Cusco, the Sacred Valley and Machu Picchu. Not only did he have a wealth of knowledge about the history of Peru, the Incas, and the culture but he became our friend through this journey. He truly went above and beyond to ensure we had a great trip and showed us the local experience and answered all of our questions and even helped us learn a little bit of Spanish 🙂 I could not recommend him more and I am so happy to have had him as our guide. I was so impressed with how well organized, efficient and easy our travel plans were through Kuoda. Kuoda was behind the scenes making sure the details of reservations, flights, lodging, tours, and more, were all covered allowing me and my best friend to truly relax and enjoy our vacation and be present in our new experiences. All we had to do was wake up and show up! We are so thankful for the service Kuoda has provided. I can’t thank everyone from Kuoda enough for an amazing trip and experience in Peru. 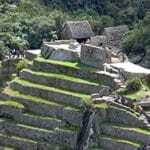 I hope to use Kuoda on my next trip to South America no matter where that is and I have already HIGHLY recommended this agency to my family and friends and I would recommend to ANYONE reading these reviews! The Amazon and Machu Picchu!